Sometimes an amazing business opportunity can drop into your lap — and you don’t even recognize it. Such was the case for Dave and Monica Pappas when the married couple relocated from Las Vegas to Reno in 2012 to take over Monica’s mother’s small shop, Fingerprinting Express. The young married couple were simply intent on getting the business into shape to sell, after which they intended to buy a ranch north of Reno and downshift into a more relaxed lifestyle with their son, Jared. Dave and Monica each had enjoyed success in the go-go economy of pre-recession Vegas — Dave as a high-energy executive on track to become president of a hotel-casino, and Monica as a savvy entrepreneurial founder of a marketing company. Each had worked very hard in their careers. Dave had started at the bottom of the casino industry after a knee injury in college torpedoed his career as a draft-worthy football prospect. He’d bootstrapped his way up from a pool boy at The Mirage mega-casino on the Las Vegas Strip to a money runner pushing metal carts of coins on the casino floor, to slot floor person — and stunned his peers by getting selected for casino mogul Steve Wynn’s exclusive three-year management-training course. Dave rose to director in the marketing department at Wynn’s luxury Bellagio resort, and subsequently held a vice president position with MGM Resorts International. Monica, meanwhile, had arrived in Vegas as a young single mother, prospered in the booming real estate market as an agent representing high-end homes, then started a business — Vegas Passport — selling VIP guest packages to top nightclubs and restaurants, coordinating with the resorts as well as online travel agencies to market the packages and fill a lucrative niche. The two met in 2007 as Monica’s marketing service brought her into contact with Dave, who by now had become managing partner of the REVOLUTION Lounge nightclub in The Mirage, and was struggling to lure patrons. Monica’s VIP pass service not only helped fill Dave’s club, her marketing consulting turned its fortunes around. Dave was smitten. After his earnest courtship, the couple wed in 2009. By 2011 they were ready for a lifestyle change. Besides being tired of the 24-7 nature of casino management, Dave was recuperating from blood poisoning after an operation and was diagnosed with Barrett’s Disease. 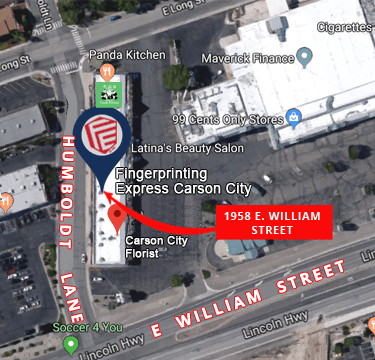 That’s when Monica’s mother, Becky Riersgard, called from Reno to see if her daughter and son-in-law would be interested in taking over her small business: Fingerprinting Express. Becky’s family member had suffered a stroke, requiring Becky’s round-the-clock attention. She could no longer manage the small business. Monica had consulted Becky from the start of the 2003 opening of Fingerprinting Express on every aspect of the business — from naming and branding to marketing, operations and strategy. So the prospect of taking it over — and getting it in good shape to sell for a profit — excited her. Becky had opened Fingerprinting Express in 2003. The year before she’d gone to a local police station to be fingerprinted for a new job — and had to wait more than two hours with only one person ahead of her. Realizing a need in the market for efficient fingerprinting, Becky did some research and discovered that new laws had come into effect in 1998 that ended the monopoly of law-enforcement agencies in taking fingerprints for civilian background checks for non-criminal applicants. In the resulting business climate, small-time operators had jumped into the game. Typically, they were owners of businesses such as shipping companies, looking to add secondary income with a sideline service. For example, owners of UPS store franchises set up fingerprinting operations in their back supply rooms. Other operators provided fingerprinting out of their vehicles. 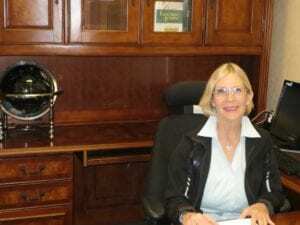 Becky opened a store in 600 square feet leased on the second floor of a small shopping mall in Reno. She made $10 her first day. With no capital for advertising, she wracked her brain for ways to drum up business. Fortunately, she consulted her daughter — and Monica’s recommendations proved golden. Becky visited the human-resources departments of local casinos — boxes of doughnuts in hand — and managed to win a few minutes of time from HR executives. They began sending their new hires to Becky’s Fingerprinting Express for background checks for their gaming cards. Slowly, Becky built her business by word of mouth and referrals, until it became the go-to place for many different businesses and industries. Indeed, state and federal laws require background checks for a wide range of occupations and privileges. These run from healthcare professionals to financial service professionals, bus drivers and cab drivers, law-enforcement personnel and city or county employees, building contractors and educators, and more. 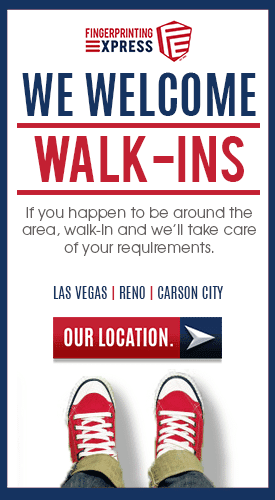 People seeking licenses for the gaming industry or medical-marijuana industry, or to become massage therapists, or to handle hazardous materials, or adopt children or volunteer with youth, or seal a court record or be allowed into the expedited passenger line at the airport — all must undergo background checks. 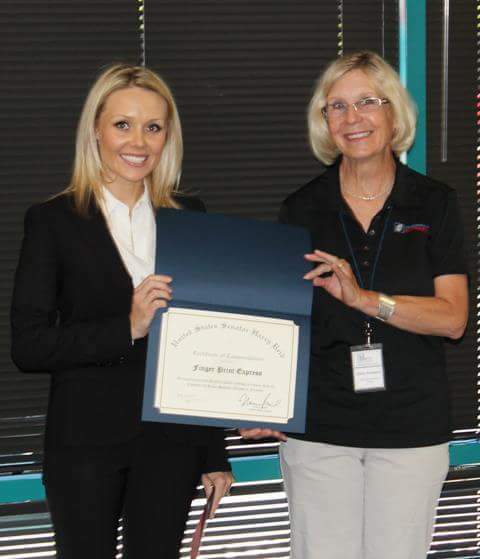 Becky and her staff’s mastery of Livescan inkless technology, with superior customer service, gave Fingerprinting Express a competitive advantage over law-enforcement agencies. Livescan takes a high-quality print by scanning all fingers, palm down, to create a digital image that can be transmitted electronically to state law-enforcement agencies as well as the FBI, who run the prints through their databases. Livescan allows Fingerprinting Express to avoid the mess and potential miscues involved with old-fashioned ink, which can easily blob and smear. Livescan reduces the rejection rate to under 5 percent. (Fingerprinting Express has lowered the rate to less than 0.02 percent. The industry average is 1%) Results of prints, checked against criminal databases, arrive within one to 15 days, instead of the six to 16 weeks it takes to process manual hard fingerprint cards. Becky enjoyed three other advantages over her law-enforcement and mom-and-pop competitors: 1) She emphasized excellent customer service; 2) She provided easy one-stop shopping by adding an on-staff notary public and passport photography to her services; 3) She trained her staff to be proficient with the Livescan equipment. The technology companies that produce the Livescan hardware and software don’t provide in-depth training to the businesses in which they place the equipment. An unexpected illness in the family took Becky’s attention — forcing her to recruit Monica and Dave to take over Fingerprinting Express in 2012. With Monica taking the reins as CEO and president, and Dave consulting, the couple set about getting Fingerprinting Express in shape to sell. Monica installed a computer system to replace manual paperwork of records — and set about streamlining the bookkeeping and improving employee training and procedures. She implemented a “Culture To Care™” atmosphere by which employees adhere to core fundamentals that require treating customers with hospitality, gratitude and complete professionalism — respecting their privacy and needs and striving to serve their best interests at all times. Monica also pursued grassroots marketing, contacting human-resources departments at major area employers to let them know about Fingerprinting Express. She boosted the business’s online presence. 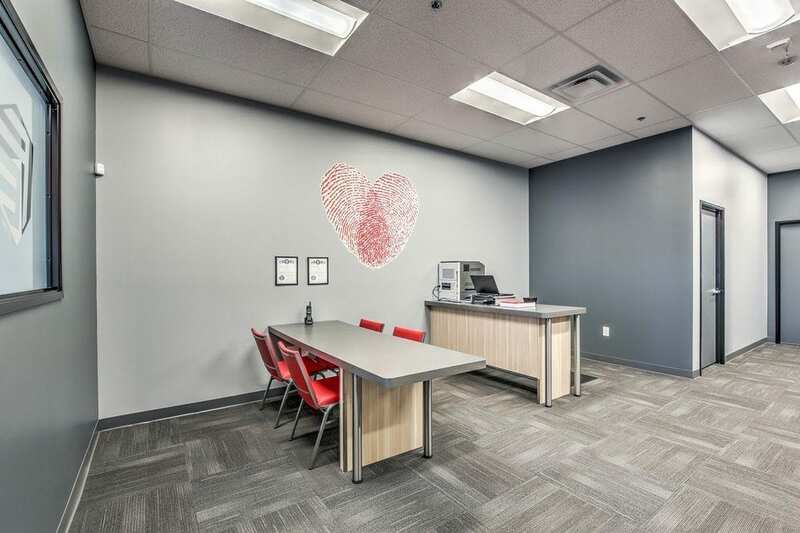 When the store began receiving phone calls from people across the country who found Fingerprinting Express through web search engines and wanted to know where to find a nearby outlet, Monica and Dave realized what an enormous market loomed for a state-of-the-art, brick-and-mortar fingerprinting facility. 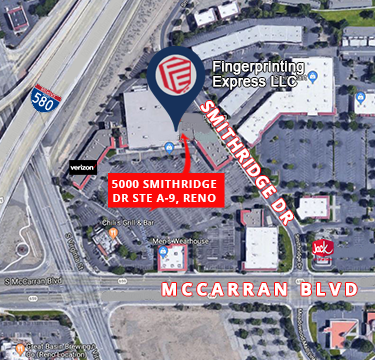 The couple relocated Fingerprinting Express to a central location in the Reno Costco Shopping Center, with easy access off the U.S. 395 freeway as well as to Reno-Tahoe International Airport. And they began strategizing a way to franchise their business. Under Monica and Dave’s management, Fingerprinting Express has developed into the gold standard of its industry, with thorough knowledge of FBI and state fingerprint-processing procedures. Monica and Dave reached out to sources and educated themselves on the finest points of governmental policies and procedures on fingerprinting. Fingerprinting Express became so highly regarded in its field that some state agencies have used the business to beta (real-world) test their programs before implementing them widely. Monica and Dave also expanded Becky’s one-stop shop concept by adding even more services for customers needing background checks and other security-related needs. These include Notary Public services, photocopy and fax services, and — finally — secure paper shredding. Using exclusive systems, Monica added additional background check offerings that render results in hours opposed to weeks and was able to lower fees from those charged by competitors. As an additional service, Fingerprinting Express began offering mobile fingerprinting and notarizing — dispatching staff to businesses, job fairs and orientation sessions where a large group of people can be fingerprinted efficiently in one place, in one-time window with the services of a Notary Public. With a streamlined system in place — with inside knowledge of the process and requirements of fingerprinting at all governmental levels, and with contracts and vendors unsurpassed in their field — Fingerprinting Express saw its revenue skyrocket. 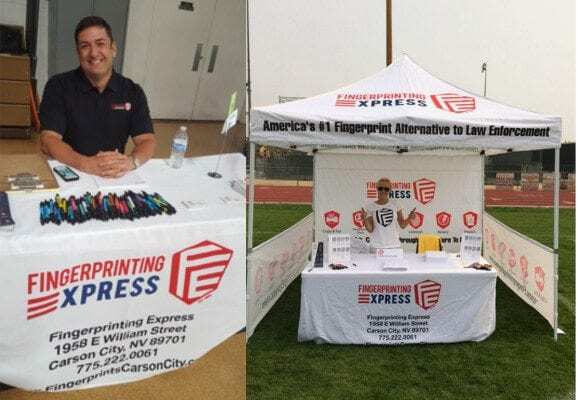 In 2014, Monica and Dave began offering Fingerprinting Express franchises for sale. 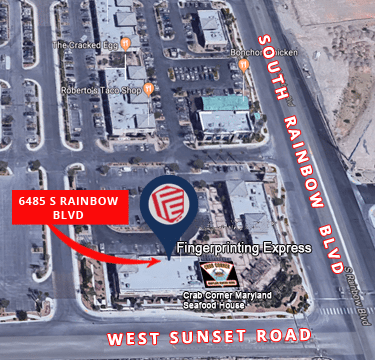 In 2015, Monica opened Fingerprinting Express in Carson City, Nevada and in 2017 opened Fingerprinting Express in Las Vegas, Nevada. 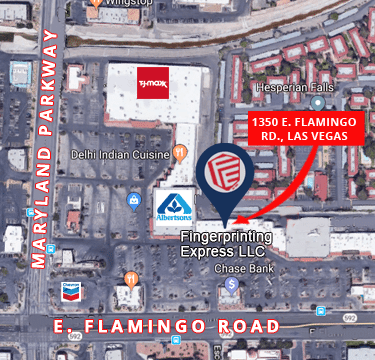 The fourth Fingerprinting Express store opening in Southern Nevada in April 2018 as the brand continues to grow. Investors willing and ready to devote the same energy and care into a franchise as Monica and Dave have with their pioneering store may just find a golden opportunity at their fingertips. 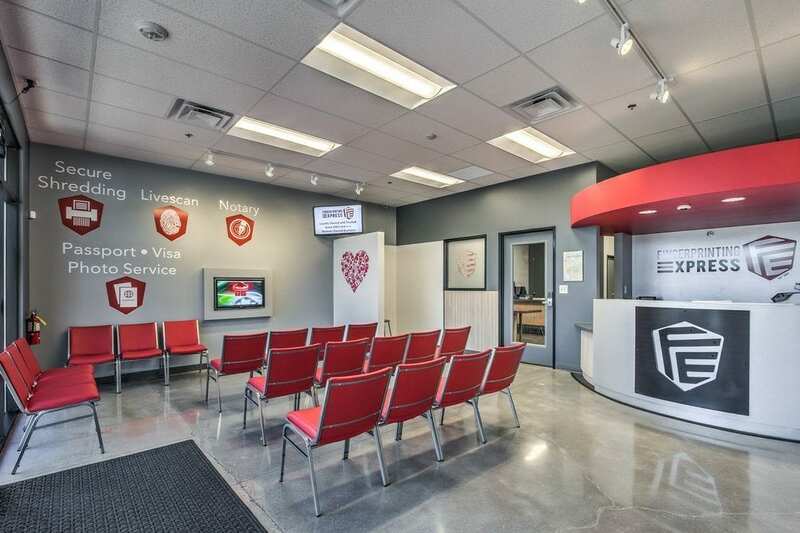 Fingerprinting Express’s model of a state-of-the-art, brick-and-mortar fingerprinting facility may be destined to change the way fingerprinting background security checks are performed nationwide.